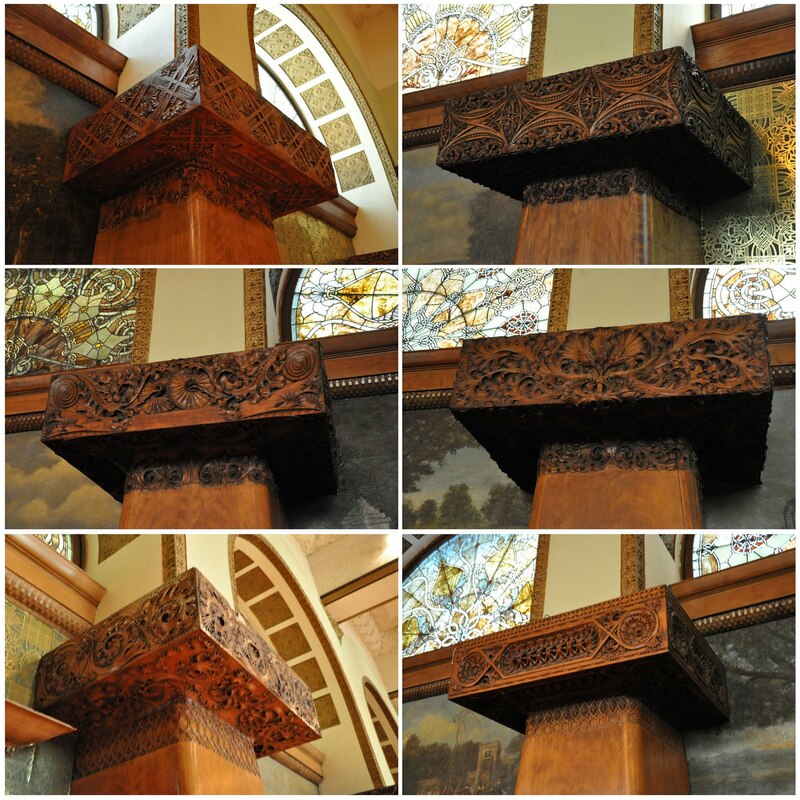 The library is located on the upper levels of the east and south sides of the building. 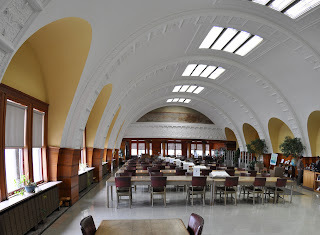 The main reading room was the hotel dining room in Sullivan's original design. 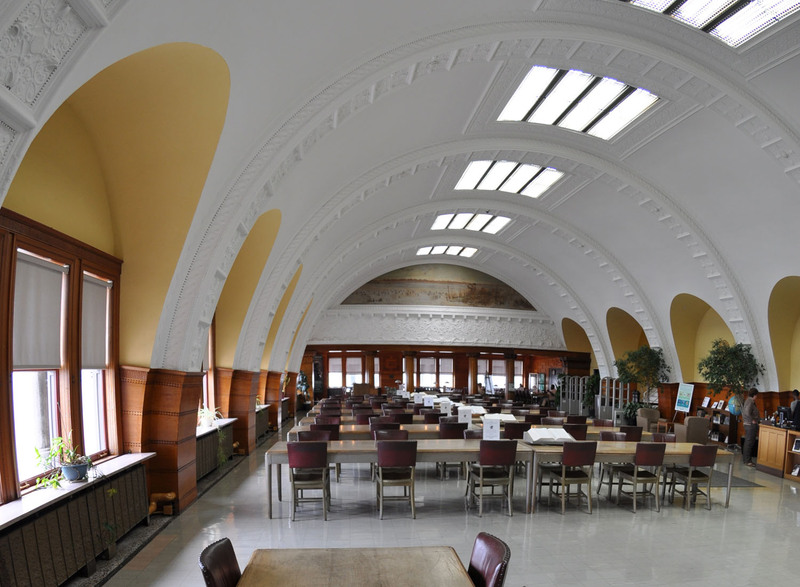 The reading room is a vast, barrel-vaulted space that runs north-south, high above and parallel to Michigan Avenue, on the 10th floor of the building. At the north and south ends of the room are murals, depicting a fisherman and a duck hunt, respectively. At the south end of the main room, there is a more intimate room with an ornate, lower, flat ceiling. The wood colonnade separating these spaces is ornately carved, and each column is carved to a different design. 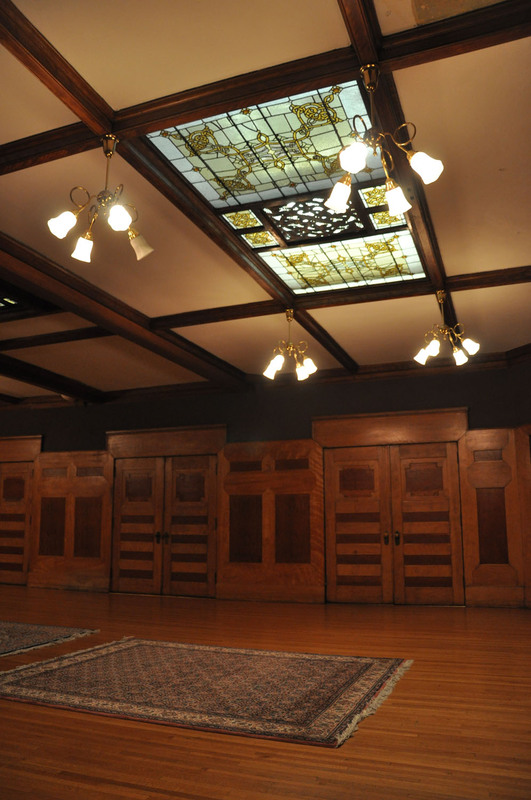 Down on the second floor, right above the intersection of Michigan Avenue and Congress Parkway, sits what is now called the Sullivan Room. 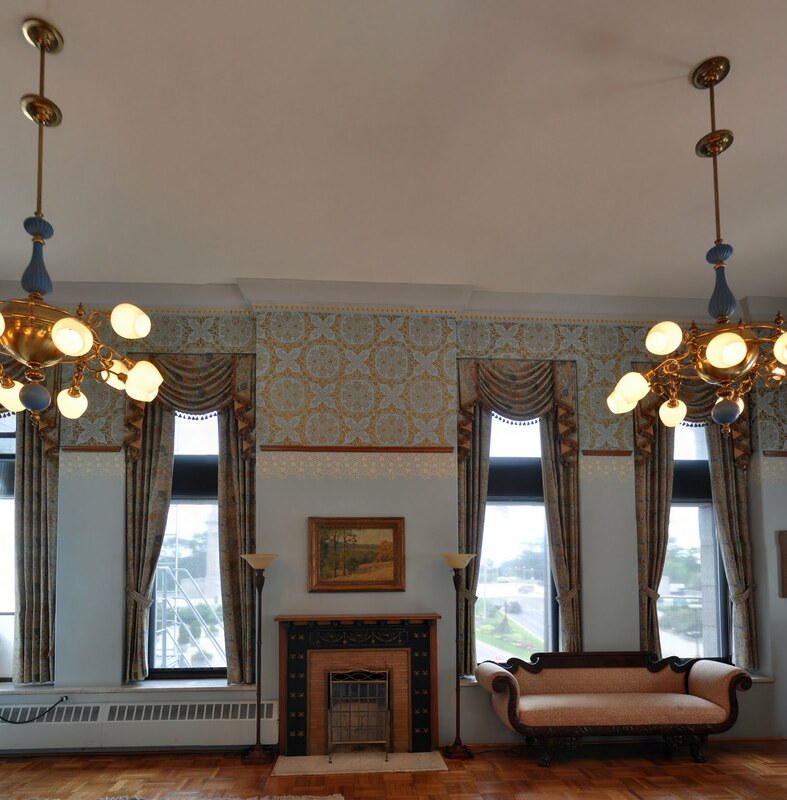 This room was originally the Ladies' Lounge for the hotel. 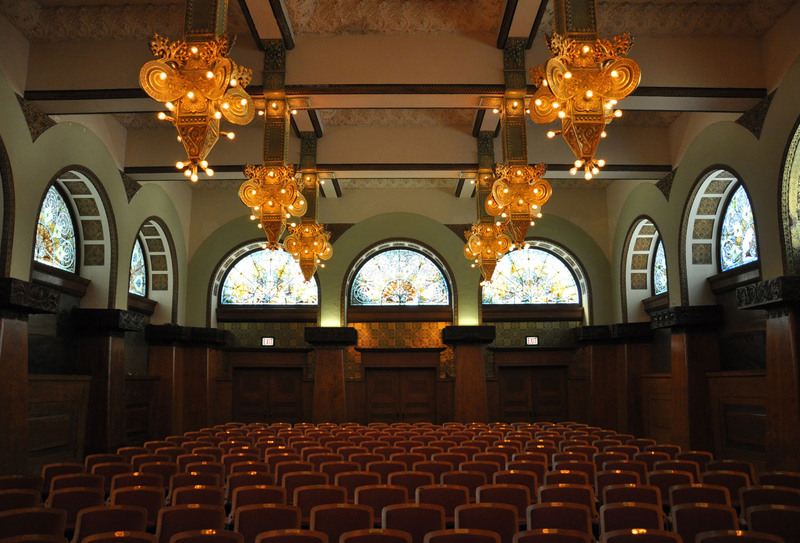 It is restored to its original design, and is now used by the President's Office of Roosevelt University for special events, board meetings, and the like. Ganz Hall is on the 7th floor of the building. 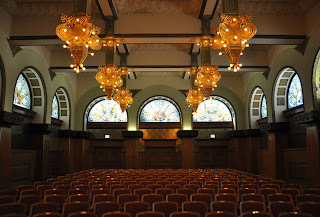 It was originally a private banquet hall, and was later converted into an intimate recital hall. If I had to name one, I would say that this is my favorite space in the building. 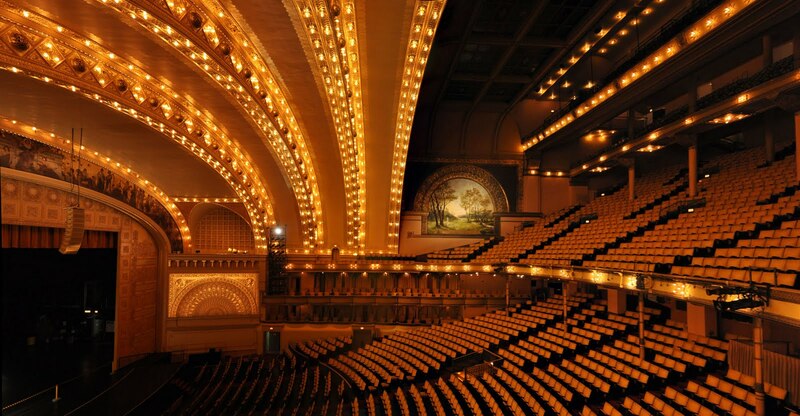 The hall itself is exquisite, and this photo doesn't even begin to do it justice. 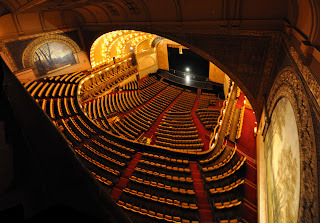 There is so much to talk about with respect to the theatre itself that I am going to limit myself in this discussion to a few things I liked, that also photographed well. 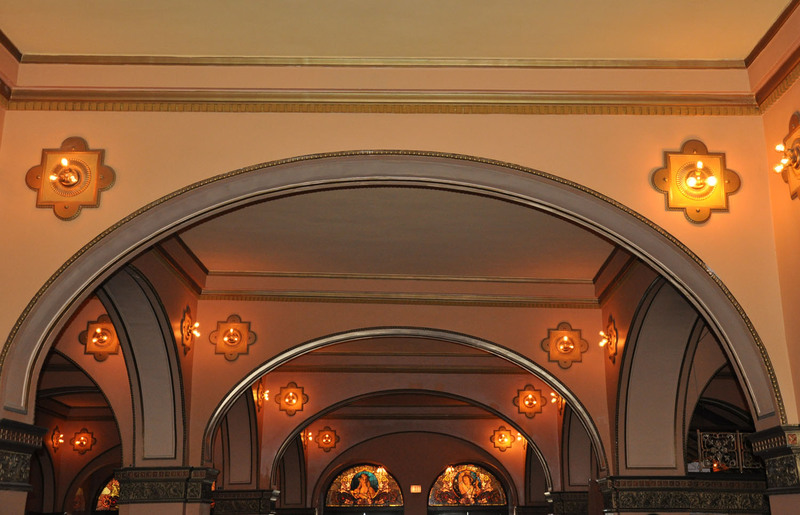 The theatre and its lobby are particularly hard to photograph due to the relatively low light levels and the extremely warm color of the vintage Edison-type bulbs used. In the interior of the theatre, Sullivan used concentric parabolic arches due to their acoustical effect on the transmission of sound. He then used them decoratively in the lobby spaces, to unite these spaces thematically with the interior of the theatre. 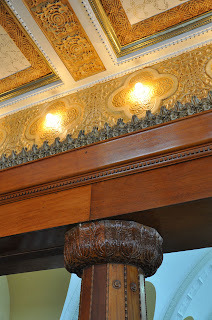 The lobby also contains two inglenooks. 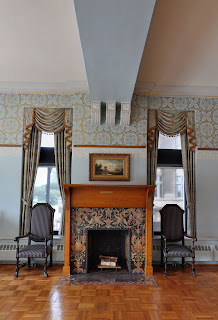 An inglenook is an intimate, semi-enclosed alcove with a fireplace and seating, adjacent to a larger room. 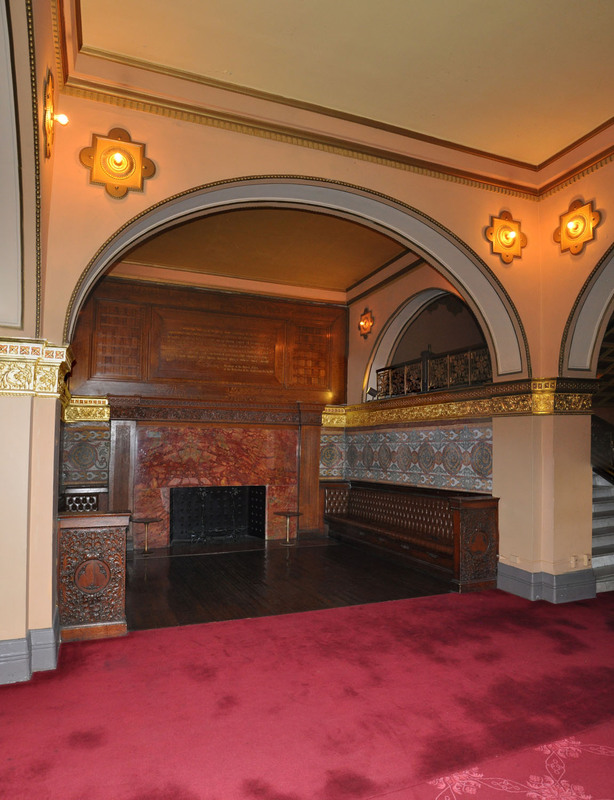 Here, patrons could warm themselves and engage in conversation before the show. Even from the highest upper balcony, the sight lines to the stage are superb. 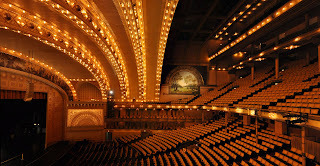 There are other spaces I haven't shown here that are going to be included on the tour. Also, as of this writing, we can still add 6-8 more people. If you have RSVP'd and need to pay your $15, I have added a PayPal link on the upper right sidebar. 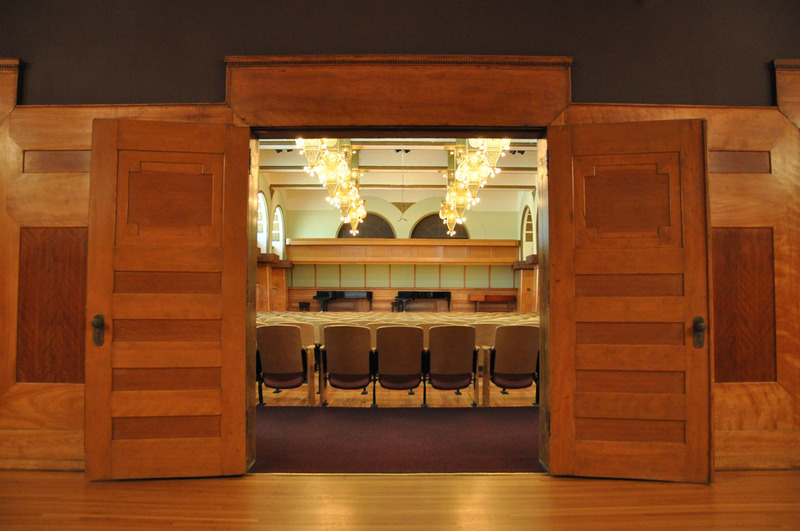 If you aren't attending MINICON but would like to join us for the tour, we'd love to have you! Please contact me via earl(dot)parson (at) gmail(dot)com. For my previous post on the tour, with some drawings and other information about the building, click here.